CYBG’s £1.7 billion takeover of Virgin Money has been formally completed, marking one of the first major banking deals since the financial crisis. The two banks – which together hold £84 billion in assets – received final approval to merge during a court hearing on Friday. Virgin Money’s London-listed shares have now been cancelled, with the all-stock deal resulting in another 540 million new CYBG shares entering the market. A raft of resignations also followed the deal’s completion. It includes Virgin Money chairwoman Irene Dorner and chief executive Jayne-Anne Gadhia. However Ms Gadhia will work as a senior adviser to CYBG boss David Duffy over the next 18 months. He will be supported by CYBG finance chief Ian Smith, while Virgin Money’s chief financial officer Peter Bole will become group integration director to help with the changes across both businesses. Hugh Chater, managing director of the core bank of Virgin Money, will be responsible for the day-to-day operation of the Virgin Money business. Mr Duffy said the deal will help it compete with larger rivals, including Barclays, Lloyds and RBS. He said: “Today marks an historic milestone for CYBG and Virgin Money, creating the first true national competitor to the status quo in UK banking with a clear ambition to provide customers with the best service in the UK. “Bringing the two banks together creates the UK’s sixth-largest bank combining strong product, service and technology capabilities alongside an iconic brand with well-known consumer champion credentials. 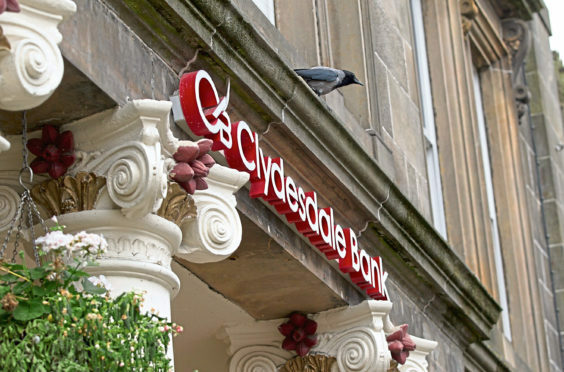 CYBG said there were no plans for an “immediate” changeover, but the retail sides of its brands including Yorkshire and Clydesdale banks would transition to Virgin Money branding over the next three years. It is exploring a similar move for users of its small- and medium-sized enterprise banking services. News of the merger initially sparked concerns over plans to shed more than 1,500 jobs. However, CYBG has pledged to maintain a “substantial base” at Virgin Money’s Newcastle headquarters for at least three years. The combined group is expected to result in annual cost savings of around £120m by the end of September 2021. With more than six million customers, the bank will also hold £70bn in customer loans and around £58bn in mortgages. Virgin Group chief executive Josh Bayliss said: “The combination of Virgin Money and CYBG will bring huge benefits for customers, employees and communities alike.